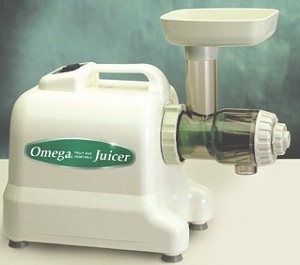 The Omega 8001 juicer is a masticating juicer. This is important because masticating or single auger juicers are more efficient at releasing juice from the pulp. This means you get more juice in your glass and fewer vitamins and minerals left behind in the pulp. Drier pulp means you get more from every piece of produce you juice. Before we get into the specifics of this machine, it must be noted that the 8001 model has been upgraded with the 8002 model. You may want to check that newer model out before you make a final purchase, but you can still purchase this juicer online at great prices. This is one of the few juicers on the market that have far more strengths than weaknesses. In fact, some may find it difficult to pick up on any real weaknesses. This may be because it is a single auger masticating juicer which is the most efficient juicer type on the market today. Suitable for wheatgrass and other fine leafy greens. Less heat preserves more vitamins and minerals for consumption. Auto shut off for overheating. Chops and minces in addition to juicing. Can make pasta and flour for baking. There is definitely a lot to brag about with this machine! The fact that you can juice up wheatgrass and other fine leafy greens is very impressive. You will find that many other juicers struggle when it comes to the very small veins in these leafy vegetables, but the masticating design of this juicer has no problem ripping them open and juicing them up. Less heat ensures that you get more vitamins and minerals into your glass and when you’re all done you can take it apart and clean it up very quickly. Despite all of those strengths, there are a couple complaints that you hear from some users. Note that these complaints come in highly ranked reviews where the consumers still really like their juicers. This is by far one of the leaders in the masticating juicer market today. Not as easy to feed through as some other centrifugal juicers. When you start comparing the Omega 8001 juicer to other juicers on the market you will see that these complaints are very minor compared to others. You are getting a great machine here even if it does take longer to start sipping the juice. This is a great juicer that should be recommended to users who want to ensure their juice is as healthy and nutrient-packed as possible. 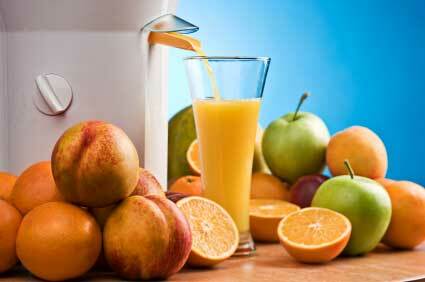 The design of the motor reduces heat which in turn increases the vitamins and minerals in the final juice product. The machine is also made of heavy duty parts so it lasts for many years even if you do use it daily or almost daily. Click here to compare to other juicer ratings.